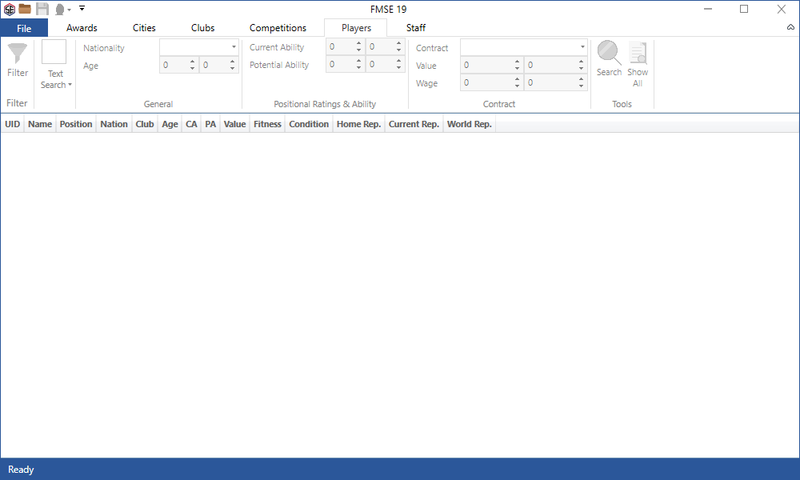 The first real-time editor for Football Manager 2019. A powerful alternative to the official In-Game Editor. Comes with basic scouting features too. 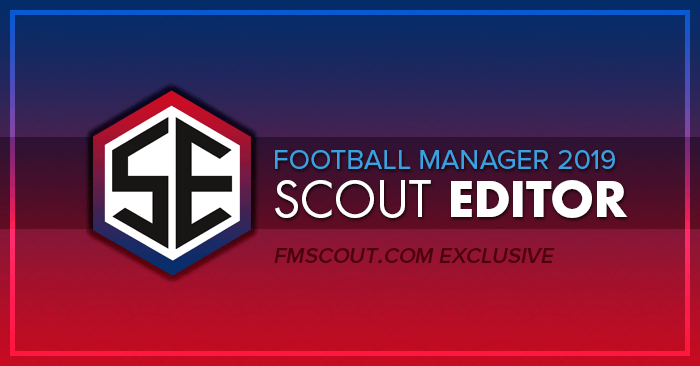 FM Scout Editor 2019 (FMSE19 for short) is a utility with powerful real time editing capabilities and some basic scouting features for Football Manager 2019. It currently works with Windows 7+ and the latest 19.0.1 Steam version of FM 2019 64-bit. FMSE19 is packed with a plethora of options and running lightning fast. The focus is on the editing side of things. The scouting capabilities are limited. For more advanced scouting, it’s recommended to try Genie Scout 19. We’ll aim to roll out frequent updates to introduce new functionality. Whenever there’s a new official patch out, we’ll make an effort to update FMSE within a couple of hours. And while update time is dependent on external factors (such as patch complexity or other unpredictable situations), we’ll do our best to deliver updates faster than other editing tools out there. Fiddle with club name, year founded, facilities, youth recruitment, morale, attendances. Current version 2.0.2.0 is compatible with Steam 64-bit Windows edition only.